The instrument cluster hood hints at Aston Martin performance racing cars. 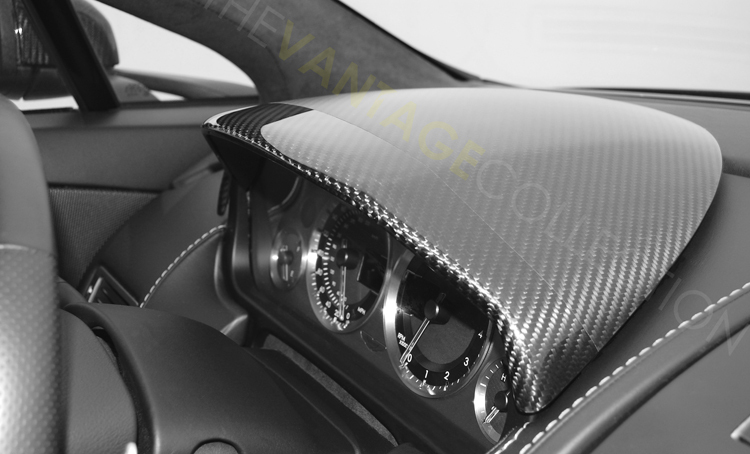 Made from carbon fiber, the hood shrouds the dials in a two tone carbon fiber finish, so that the carbon fiber doesn’t reflect in the front screen and impede driving. This part is also a great upgrade from the leather hood which seems to deteriorate and shrink in hot weather.